My son loves a clear plan. Any time we get in the car, for example, Little Red wants to know the details. Where are we going? What road is it on? What is it close to? How long does it take to get there? How long will we stay? Recently, the grandparents joined us for a Tiger game in Detroit. Little Red was concerned about his grandpa, who walks with a walker. When he learned that his grandparents would be riding with us – DAYS before the game – the questions started. How far is it to the parking lot? Will Grandpa have to climb steps? Do they have an elevator? I responded, “That’s what Dad and I were planning on.” Why do you think Hubby & I had already reached the same conclusion? Because I’m a planner too! And when I had proposed this same solution to my laid-back husband, he had been quick to agree. When we see parts of ourselves shining through our children, it can be either exhilarating or terrifying. There’s no point in trying to hide who you are from your children. They already know you better than you think. Instead, I want to suggest some ways to use those similarities to your and your child’s advantage. 1. Tell stories about yourself that your child can relate to. For example, if your child is anxious about starting kindergarten, and you remember an anxiety-riddled incident from your own childhood, tell her about it. Tell her what you were anxious about and how you coped with it. Or how you wish you had coped with it. Kids feel reassured and “normal” when they realize that somebody they love really understands them. 2. Use the common ground to build a stronger relationship. You love building computers. Your little person might be too young to build computers, but he loves messing around with your tools and supplies when you’re working. Exasperating? Yes! But recognize this: He’s interested in something that you like. This is actually an awesome opportunity. Give him a few of your scraps, a toy screwdriver, and let him go to town. If he’s older, take a couple minutes to show him what you’re doing. Let him hold the flashlight for you. You’ll be amazed at the conversations that you have. It may take a few sessions and some of it will just be about computers, but some of it will be about life. Real life. Real stuff they’re struggling to cope with or understand. So get in there and build! 4. Ask yourself, Can this loathed trait possibly be a good thing? Sometimes, yes. Perhaps you were ashamed of being “this way” in your own childhood and you just never learned to see the positive aspects. For example, maybe someone contemptuously called you “bossy” when you were a little girl and now you loathe bossiness in your own daughter. You try desperately to break her of that trait because you know that bossiness – left unchecked – can cause destruction in relationships and lead to loneliness. But consider this: Effective leaders have no problem telling others what to do. They have an innate bossiness, perhaps, but they have also learned to listen to others and consider other people’s feelings. Instead of hating the trait, help your child learn to tame it and use it for good. 5. Recognize that they aren’t EXACTLY like you. Ask your friends or family, How are my child and I similar? How are we different? You might be surprised by some of the feedback. 6. Don’t expect your child to bring your own hopes and dreams to life. Certainly, introduce her to the things you love. It may turn out that the same things will bring happiness to both of you. I love to play the piano. My son also loves music, but he has NO interest in learning to play the piano. 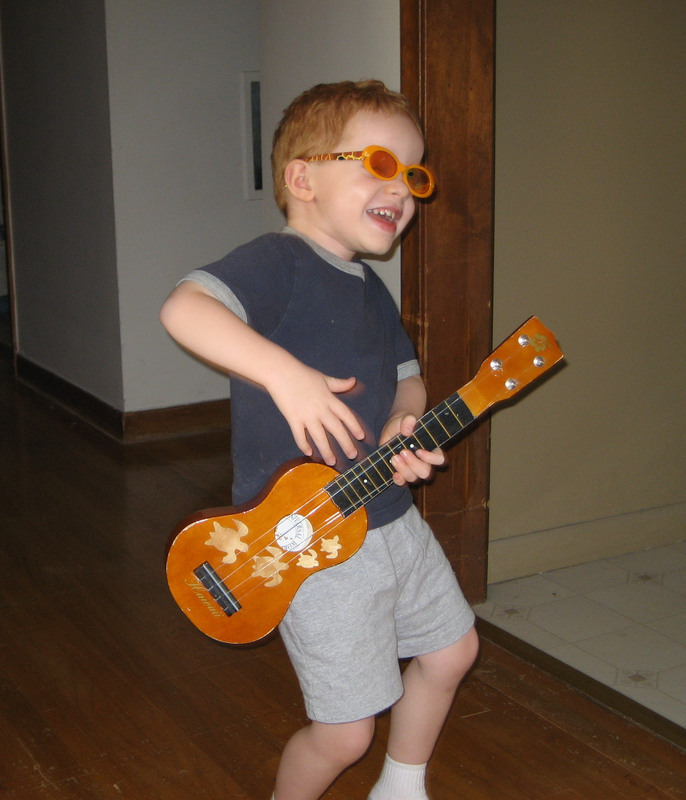 Instead, his [super awesome] school music teacher is teaching him how to play the ukulele. You might just learn something new from your kid! Don’t undermine your spouse’s authority by intervening in front of the child. (To be very clear, I am talking about a non-violent, non-harmful case of misunderstanding. If your child is being abused, you must intervene and do whatever you can to keep him or her safe.) Later, when your child isn’t around, talk to your spouse about what you witnessed. Say, I understand why you were frustrated, but… Explain where you think the child was coming from. Help your spouse to understand how to work with your child. Here’s an example: I hate feeling like my time is being wasted. Hate it. It’s one of my biggest pet peeves. On the other hand, my husband is super patient and easygoing. He doesn’t mind waiting around. When it’s time to leave the house, one kid is usually standing by the door, singing and waiting. The other kid is still in his room, maximizing every last minute of his play time. Hubby may get annoyed by the kid who’s still in his room (“I told you it’s time to go!”). I, on the other hand, know that when it’s actually time to walk out the door, that kid will drop what he’s doing and come running. He just doesn’t want his time wasted. So I privately explain this to Hubby. He understands that this behavior isn’t a sign of disobedience or disrespect, and begins to find it less frustrating. My example above was about a spouse. But you can be your child’s best advocate with others such as grandparents or teachers. 8. Teach your child to advocate for herself. My parents like to have the grandchildren for sleepovers every now and then. As they got older, one of the grandkids started requesting a fan, a night light, and a cup of water in the bedroom. It seemed that having those three items made for a restful night’s sleep. Help him to take ownership of his feelings and needs. Give him the words and permission to express them. 9. Beware of button pushing. The two of you “get” each other. You speak the same language. You know what makes your child tick and you know what cuts him to the core. He instinctively knows the same about you. There will be times when the two of you find yourselves at odds. Because he’s a kid, he may resort to dirty tactics that he knows will knock the very breath out of your lungs. Do not allow yourself to get sucked into that dynamic. Take a breath and step back. Remember, This isn’t about me. This is about him trying to get what he wants. You may feel hurt, but you need to remain cool and objective. After it’s over, go off by yourself to cry or punch a pillow. It’s wise to go back to your child after the incident and make it clear that certain tactics are off limits. Work together to figure out what comments/behaviors are “below the belt.” You will already have a list for your child in mind; he may have a list for you. Be careful that you stay away from those things in the future; hold your child accountable as well. 10. Be fair with your time. You love all your children. You really do. But sometimes, you just “click” with one kid more than the other(s). It’s easy to go off and fly kites together when she loves it just as much as you do. But ask yourself, Do my spouse and other kid(s) feel left out? 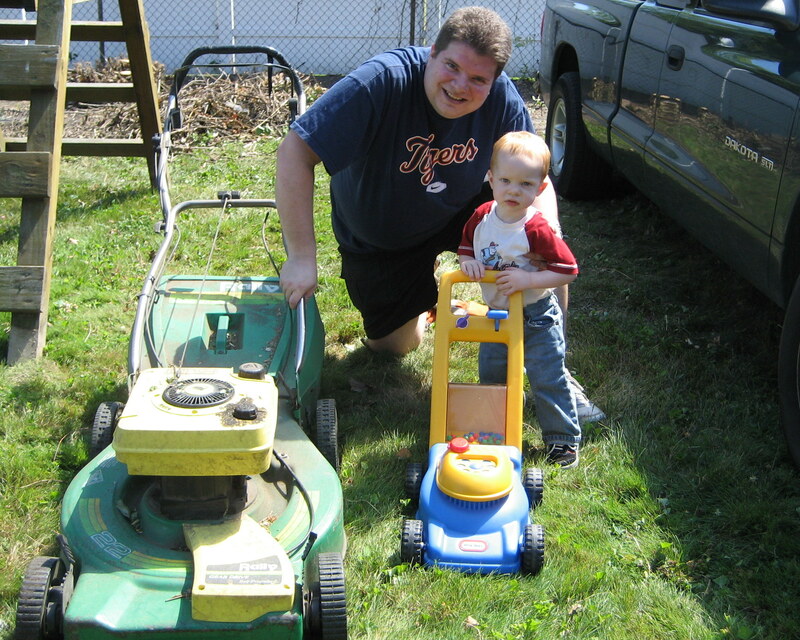 Am I spending equal amounts of time with my other kid(s)? Kids notice everything. They keep score a lot. And the excuse, “I just don’t enjoy the same things you enjoy” isn’t going to make anybody feel better. Being fair with your time will decrease the opportunities for sibling rivalry. I encourage you to focus on the positive in yourself and in your child. Look for the potential and find ways to maximize it. My next post will be about parenting a child whose personality is different from yours.